Whether you’re working a day job or not, whenever you go outdoors, your skin will be exposed to harmful elements in the air. Dirt and dust accumulate on your face which can harm your skin and cause clogged pores. For this reason, it’s a must to take your makeup off before you go to bed. Not only will sleeping with your makeup on cause you serious acne problems but it can also destroy healthy collagen in your skin. Your evening beauty ritual should include taking off your makeup the proper way. To help you get started, here is an easy-to-follow guide to proper makeup removal. Removing makeup is one of the crucial steps to proper skin care. 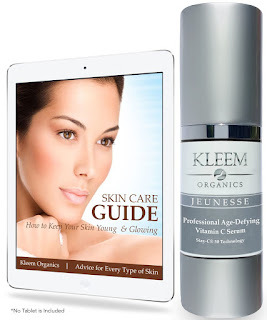 If done the right way, it will help you achieve a beautiful and radiant skin. Ready? Let’s start the makeup removal process. 1. Take off makeup starting with your eyes using a cotton pad with oil. Whether you want to start with your left eye or right, it’s up to you. Use Kose Softymo-White Cleansing Oil. Make sure your cotton pad has enough cleansing oil before you apply it to your eye. Keep the cotton pad on top of your eye and let the oil do its job, which is to dissolve the makeup. Do not move it or try to scrub it in your eye. After about thirty seconds to a minute, repeat the same process on your other eye. You’ll see how effective it is in removing all your eye makeup. When both eyes are makeup free, gently brush the cotton pad to your eyebrows. 2. Remove the makeup on your face. This time, instead of using a cotton pad, pour the cleansing oil directly to both of your hands then massage your face in circular motion. You’ll notice in a couple of seconds how makeup is removed effortlessly. You’ll notice how the warm water causes the oil to turn into a milky and foamy texture. Continue massaging your face for about one minute then splash warm water again as a final step. 4. Dry your face using a clean and soft face towel. Gently pat your face with the towel. If you use water-proof mascara, check your eyelids to see if there’s anything left. If there is, get a Q-tip and pour oil on it. Then gently clean your lash line to remove the remaining makeup in your eyelids. Wash your face with warm water again then tap dry. 5. Apply a pea-sized amount of cream cleanser to your face. You can use either Olay Brightening Cream Cleanser or Aveeno Clear Complexion Cream Cleanser. Both are known for their hydrating effects on the skin. Using a pea-sized amount, massage the cream cleanser all over your face gently. With these products, you can avoid the tightness and that squeaky feeling you get with other cleansers. Wash with warm water. 6. Use cold water for the final two splashes. Cold water closes your pores. Once your face is clean, dry it by tapping gently with a face towel. An alcohol-free toner removes the residue left on your face. Once done, your skin is ready to absorb any other beauty products you use as part of your evening beauty ritual. Follow this simple guide every night and you’ll be amazed at how it can help you achieve younger looking skin. 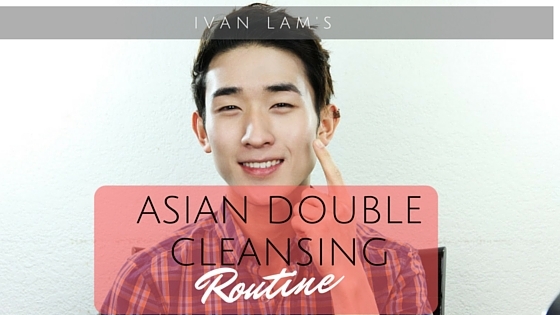 By following this simple Asian Double Cleansing Routine, you’ll get that impeccable skin and beautiful face you can be proud of anywhere you go. Buy Cleansing Oil Online at an affordable price at KOREAN BEAUTY LUXURY Co. Ltd. Thanks for your article.